Castro Is Dead -- What Can You Say About a Dictator? Fidel Castro is dead, leaving it to the leaders of world democracies to say a word or two. From the looks of the election season just passed, it seems we are returning to our Puritan roots -- labeling and seeking to ostracize those guilty of Antisemitism. Or maybe its more like the Salem witch trials, using arcane tests to divine Antisemitic intent from articles and quotes on the one hand and the testimony of an ex-wife on the other, revealing membership in the cult of the alt-right. It seems the usefulness of the "Nazi" comparison has its limitations. Calling someone a racist in general or saying they are bigoted against African Americans and women - that works. But labeling someone an antisemite, now there is something that has really caught on. Who knew there were so many, who were so eager to be on the lookout to protect the Jewish community!? I erred in underestimating the brutality and cynicism of a[n Iranian] regime that understands the uses of ruthlessness. Roger Cohen, Iran's Days of Anguish June, 2009. Roger Cohen writes in The New York Times about Why Israel Refuses to Choose -- an odd title, really, considering that in his entire piece, the only one who explicitly refuses to choose is an Israeli Arab who will not choose whether they see themselves as Israelis, Palestinians, Muslims, Arabs, or something else. The implication of the title though is that Israel refuses to choose peace, a position that Cohen supports by offering his opinion of Israel and Netanyahu. The world's top female chess players have reacted with horror after being told they must compete at next year's world championship wearing a hijab. Within hours of Iran being revealed as its host country, the prestigious event was plunged into crisis as it emerged players taking part face arrest if they don't cover up. We Do Not Speak Their Name! Why Can't The Media Identify Terrorists As Palestinians? At least that is how Iran felt 10 years ago, back in 2006. The Iranian embassy in Germany has demanded a written apology from a Berlin newspaper that printed a cartoon of Iranian soccer players dressed as suicide bombers and threatened legal action if none is forthcoming. The sketch, published on Friday by Der Tagesspiegel, shows four moustachioed soccer players wearing Iran shirts with explosives strapped to their chests next to four German soldiers in a soccer stadium. Barack Obama was correct when he said earlier this year that the danger of drowning in a bathtub is greater than that of being killed by terrorists. Baths are a one-in-a-million risk. Even if the terrorism deaths in San Bernardino and Orlando were doubled to give an annual death toll, the risk would still be about one in 2.5m. Yet the president was lambasted for his otherworldly complacency. Well, far be it that we should be complacent about either of these dangers, but when The Economist -- and Obama -- make this comparison, are they really pushing an apples to apples comparison? 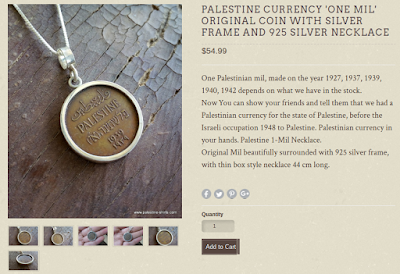 What Do You Get The Palestinian Arab Who Has Everything? The answer, of course, is a necklace. 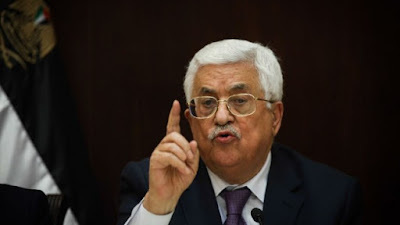 Is Abbas' Tantrum The Result of the Success of Netanyau's Latest Strategy? President Abbas speaks to Israeli journalists in Ramallah, January 21, 2016. Why Is It The New State Anti-BDS Laws Don't Violate The First Amendment Right of Free Speech? The BDS Movement has demonstrate over and again its dedication to free speech -- its own free speech -- to the extent of protesting against pro-Israel speakers and events, with the goal of hindering or preventing those speakers and events. And depriving them of their free speech. CAMERA has prompted a correction by The Toronto Star in its article about Artist Ai Weiwei’s refugee documentary takes him to Gaza. The number of Palestinians who were displaced during the 1948 war surrounding Israel’s establishment is estimated at more than five million people. Just how does one prove their pro-Israel credentials these days, especially if you are a politician looking for the Jewish vote? Well, if you are Bernie Sanders you might be expected to have an easier time than most. “Here’s the main point that I want to make. I lived in Israel. I have family in Israel. I believe 100% not only in Israel’s right to exist, a right to exist in peace and security without having to face terrorist attacks..."
"Israel will make their own decisions. They are a government, an independent nation..."
One could question how much weight having family in Israel should carry -- after all, Hamas terrorist leader Ismail Haniyeh has three sisters secretly living in Israel as full citizens -- and 35 years ago, he used to visit his sisters in Israel as well. Of course, Haniyeh does not go around bragging about this. That's probably because Ismail does travel in different political circles than Bernie. my recollection is over 10,000 innocent people were killed in Gaza. Does that sound right? I don't have it in my number...but I think it's over 10,000. My understanding is that a whole lot of apartment houses were leveled. Hospitals, I think, were bombed. So yeah, I do believe and I don't think I'm alone in believing that Israel's force was more indiscriminate than it should have been. The Sanders number of "over 10,000" civilians killed exceeds the Hamas figure of 1,617 civilians killed. According to the UN the number was 1,462 civilians killed, and Israel estimates the number of Gazan civilians killed as 762. As Varda Epstein writes, If You Love Israel You Don’t Exaggerate Civilian Deaths by a Factor of Ten. Nor do you allow yourself to be ignorant of what was happening at those schools and hospitals in Gaza and what Israel did to minimize casualties there. And if you love Israel, you generally don't hire people to be in charge of Jewish outreach who hate Israel. Zimmerman later cleaned up her post, substituting the words "politician" and "Shame on you" where appropriate. In her favor, when she rounded up the number of Gazans killed, Zimmerman did not exaggerate as much as Sanders did. “No, no, no, that’s not what you’re asking,” Sanders quickly replied, in a nod to the question’s underlying prejudice. “I am proud to be Jewish,” he declared, to cheers from the audience. But then Sanders did something odd. Rather than using the question as a teaching moment to address and rebuke its anti-Semitic underpinnings, Sanders instead immediately pivoted to his stump speech on the Israeli-Palestinian conflict. “Talking about Zionism and Israel,” he said, “I am a strong defender of Israel, but I also believe that we have got to pay attention to the needs of the Palestinian people.” He never challenged the actual contents of the question, let alone labeled it anti-Semitic. While there may be valid reasons to try to explain his reluctance to address this antisemitic slander head on, the fact remains that Sanders did not address the comment and failed to take advantage of the moment. Instead, he changed the topic to Israel in order to push his claim of balance by blaming both Israel and the Palestinians equally. 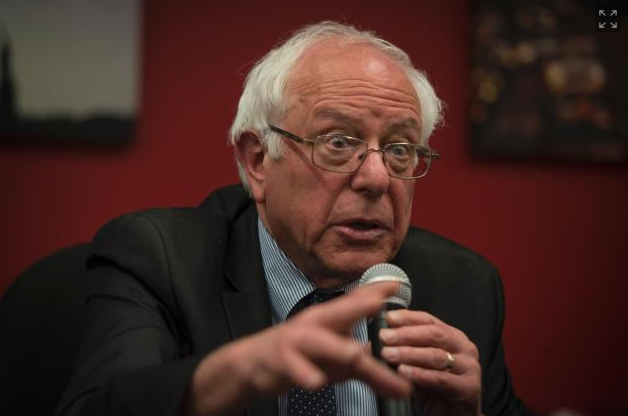 Bernie Sanders does not make an issue of his Jewishness, and that is fine. Nor is he the most outspoken defender of Israel -- and that is OK too. But when he addresses Israel as a political issue in his run for for presidential nomination, Sanders should not be given a pass on his stands and statements on Israel. The fact he lived on a kibbutz for a few months in 1963 or that he has family there is not relevant. But what Bernie Sanders says about Israel, that he hires people who accuse Israel of mass murder and how he hides behind the issue of Israel rather than address antisemitic slanders -- that is relevant. Technorati Tag: Israel and Gaza and Hamas and Bernie Sanders. Here I am in the hospital, after hurting my knee, and my roommate is a 92 year old retired professor of literature who can describe at length the background and details of the lives of past literary figures. When Evelyn Gordon asks Are Palestinian Stabbings Ending?, she points out that the Palestinian stabbing attacks will continue only so long as the perceived reward outweighs the cost. in a poll taken just three months ago, fully 67 percent of Palestinians supported the stabbing attacks, including 57 percent of West Bank residents. Yet in the latest poll, not only did overall support fall to 56 percent but, in the West Bank, 54 percent of respondents opposed the stabbings. 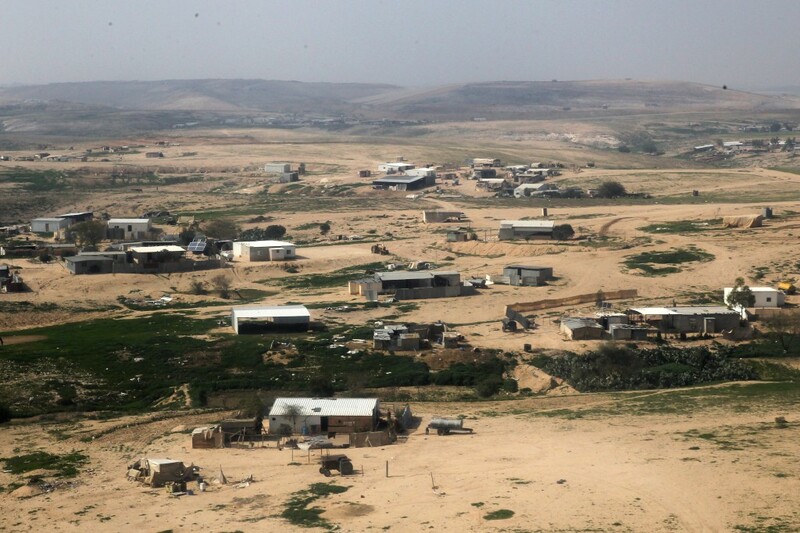 In southern Israel, the problem of the Bedouin homes there is a complex problem, combining the issue of Bedouin claims with the Western media's willingness to unquestioningly publish them and the European Union to honor them. 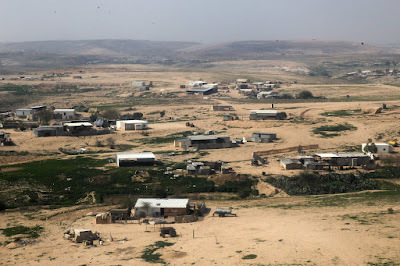 Legal Insurrection discusses Negev Bedouin problems – real and imagined and Akiva Bigman discusses in an article for The Tower why the Bedouin's claims to the Negev are outrageous. A central claim of the Bedouin is that they are indigenous to the Negev, thus deserving of special consideration and rights under international law. I'm unmoved by the hand-wringing over Israel's "isolation." When I came to the country 30 years ago, Israel had no relations with the USSR (and Eastern Europe), China, and India. There was no foreign investment and a UN General Assembly resolution still stood, condemning Zionism as racism. It will take more than a Cairo mob, a truculent Turk, and another UN resolution to make me feel "isolated." For decades, claims are periodically trotted out that Israel -- by virtue of its actions -- is being faced with the threat of being isolated. Labels: Is Israel Isolated in the World? 3 Examples Of The Growing Trend To Label Stories Of Campus Antisemtism As "Crying Wolf"
There seems to be a new trend developing in the face of the growing incidents of antisemitism reported on college campuses -- outright denial along with claims that such reports are mere exaggeration. Take Vassar for example, where the president of Vassar, Catharine Hill claims social media misrepresents tensions as incidents of antisemitism. Joel Fishman writes that UN Resolution 3379, claiming that Zionism is a form of racism, did not just appear out of nowhere. Though passed in 1975, the roots of the UN resolution equating Zionism with racism can be found in the UN in 1964. Back then, the UN Sub-Commission on the Prevention of Discrimination and the Protection of Minorities was engaged in discussions aimed at recognizing Antisemitism as a form of racism -- along with apartheid and Nazism. The Soviet Union called formally upon the United Nations today to condemn Zionism along with anti-Semitism, Nazism and neo-Nazism as a policy of “colonialism and race hatred.” The step was taken in the General Assembly’s Social, Humanitarian and Cultural Committee where a draft convention was being debated calling for the elimination of all forms of racial discrimination. "Moreover, all journalism is a form of activism. Every journalistic choice necessarily embraces highly subjective assumptions — cultural, political or nationalistic — and serves the interests of one faction or another." Glenn Greenwald, quoted in "Is Glenn Greenwald the Future of News?" If the future of journalism really is that it will be reduced to emotional assumptions instead of fact-based assertions, we can also ask if that is the future of other formerly respected endeavors as well. 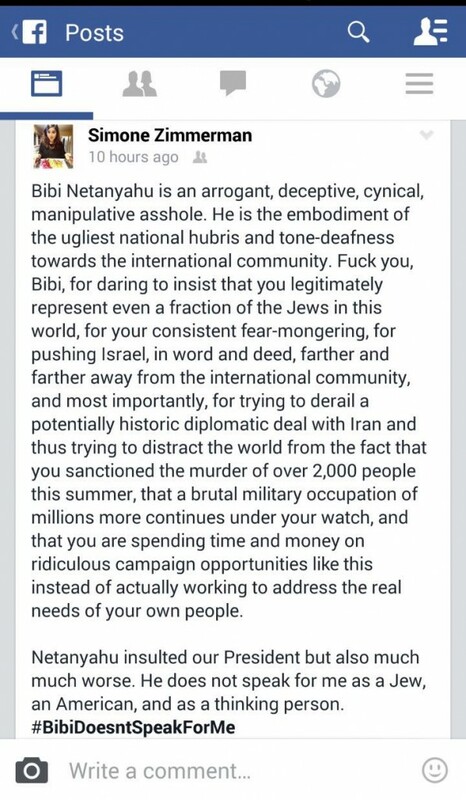 Take for instance Steven Salaita, described by Wikipedia as an American scholar, author and public speaker currently holding the Edward W. Said Chair of American Studies at the American University of Beirut. 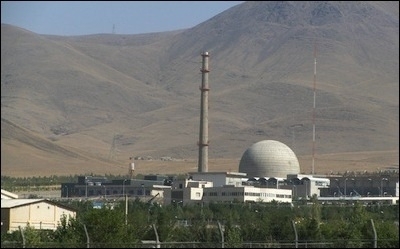 Iran's nuclear facility in Arak. Tehran's quest for nuclear weapons is, perhaps, the foremost threat to Middle Eastern stability, if not to world peace, in the foreseeable future. President Obama's policies have allowed Iran to move ever closer to producing nuclear weapons. As the only person to have won the Nobel Peace Prize on the basis of sheer hope rather than actual achievement, Barack Hussein Obama could be expected to do everything within his power to vindicate this unprecedented show of trust. Instead he has presided over a clueless foreign policy that has not only exacerbated ongoing regional conflicts but made the world a far more dangerous place. Nowhere has this phenomenon been more starkly demonstrated than in the Middle East where the Nobel laureate has abetted Tehran's drive for regional hegemony and brought the regime within a stone's throw of nuclear weapons; driven Iraq and Libya to the verge of disintegration; expedited the surge of Islamist terrorism; exacerbated the Syrian civil war and its attendant refugee problem; made the intractable Palestinian-Israeli conflict almost irresolvable; and plunged Washington's regional influence and prestige to unprecedented depths, paving the road in grand style to Russia's resurgence. J Street University is circulating a map that restores the Green Line and working to get it into synagogues, Hebrew schools, and summer camps. Good for them. Of course, fighting (nonviolently) over maps is preferable to shooting over the borders of the territories they represent, but there’s no substitute for a one-map solution. J Street has a lesson plan to go along with the map. I embedded a copy of the lesson plan at the end of the post. Last year, in the midst of the Iran negotiations that Israel so strenuously opposed, Kerry came out with the claim that not only was the Iran deal actually in Israel's interest, but that continued Israeli opposition to the Iran deal would further isolate her. But increasingly, the more pressing question is not so much whether Israeli is really isolated from other countries, but rather whether the time has come for Israel to distance itself more from the United States. Historically, Have Boycotts Ever Really Worked -- And What Does That Mean For BDS and Israel? With all the talk of boycotts, especially talk of the BDS movement against Israel, it has been a given that boycotts work. So leave it to Freakonomics to ask the question: Do Boycotts Work?. The entire broadcast is embedded below at the end of this post, but there are some key points worth highlighting. the bus company was ready to cave in early. It was the politicians who held out. The holdout was followed by more and more press coverage, which was followed by the Supreme Court case, which was followed by desegregation of the Montgomery buses. So how much credit should be given to the boycott? A Call For Death To Jews In Austria, Death Wishes For Clarence Thomas -- Just Good Honest Criticism? Antisemitism in Europe reaches a new low when a representative of the law can openly defend the right of someone to openly praise the death of Jews at the hands of the Nazis as a legitimate form of criticism of Israel. Benjamin Weinthal writes Austrian prosecutor: Call to kill Jews is legal criticism of Israel, noting that a Turkish man posted on his Facebook page a quote falsely attributed to Hitler: "I could have annihilated all the Jews in the world, but I left some of them alive so you will know why I was killing them." -- this in the context of criticism against Israel’s war against Hamas last summer. During a speech in 1958, Egyptian president Gamal Abdel Nasser entertained his audience with a story about a meeting he had with the leader of the Muslim Brotherhood 5 years earlier. He claimed the first request of the Muslim Brotherhood was to enforce the wearing of the hijab among women. Nasser's response to the leader had his audience roaring with laughter (English subtitles are in yellow at the top of the video). Today, of course is a very different matter. ...'The Shahid - his sins are forgiven with the first gush of his blood from his wound... The Shahid advocates on behalf of 70 members of his family, and saves them all from hell. The Shahid lives together with the prophets and the righteous ones.'" Yesterday, in light of the possibility of punitive action against 3 Arab MK's who visited parents of Palestinian Terrorists, I posted about the question Are These Israeli Arab MK's No Less Deserving of Expulsion Than If They Were Congressmen? Today, a decision was reached by the Knesset Ethics Committee to take action as Knesset Suspends Arab MKs for Meeting Palestinian Terrorists’ Families. Of the 3 members of the Balad Party, Hanin Zoabi and Basel Ghattas were suspended for 4 months and Jamal Zahalka for 2 months. While they are banned from participating in Knesset committee meetings and plenum discussions, they will be allowed to vote in them. Are These Israeli Arab MK's No Less Deserving of Expulsion Than If They Were Congressmen? There was an uproar when it was reported that members of the Balad Party visited the parents of 10 Palestinian terrorists who had attacked Israelis. The three MKs who made the visit were Jamal Zahalka, Haneen Zoabi and Bassel Ghattas, and among the parents they met was the the father of Baha Alian, who, along with an accomplice, stabbed and shot to death three people on a bus last October.The MK's rebuffed Netanyahu's criticism of their visit by claiming that their goal was a humanitarian one -- to push for the return of the bodies of the terrorists to their families. 32 years after the original diagnosis, (and the traumatic aftermath of both, the actual diagnosis and the symptoms of the devastating illness) I have no symptoms whatsoever and I am totally functional. Since then I wanted to learn how to help others with challenging situations. I became passionate about helping people in distress, those who felt lost and “paralyzed” in their lives. I help them learn how to overcome any challenge through understanding our essence and purpose, our drives, needs and emotions; and essentially, not giving up! Together we learn to trust that doing the best you can is always good enough. By using the different tools that I have learned in my own journey towards recovery and growth, I am able to inspire, assist, guide and cheer people to achieve whatever they want in their lives. A huge vulture detained in Lebanon on suspicion of spying for Israel has been returned home after UN peacekeepers intervened, Israeli officials said. The bird, which has a 1.9m (6ft 5in) wing span, flew over the border from an Israeli game reserve and was caught by Lebanese villagers on Tuesday. They became suspicious as the griffon vulture had a tracking device attached to its tail. It is part of a conservation project to reintroduce raptors to the Middle East. And of course, if Hamas says it -- it must be so. After all, how often do we read or hear in them media about any human rights abuses by the Hamas terrorist group. If the media is inclined to not report on Hamas rocket attacks until after Israel retaliates, what is it supposed to take before the media will report on Hamas humanitarian rights abuses? Remember those heady days of the Arab Spring in Egypt in 2011? 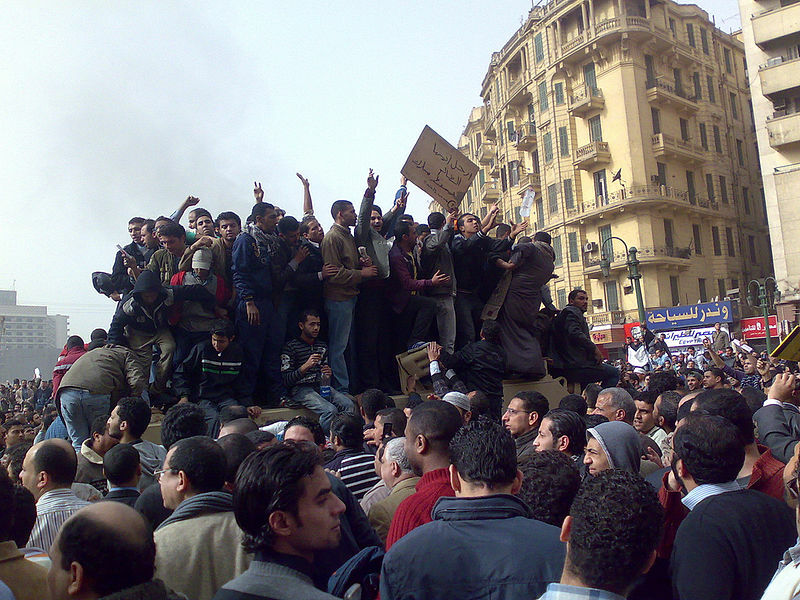 Do you recall the pictures of protests in Tahrir Square and the promise of democracy and change made possible with Facebook and Twitter? Things did not quite turn out the way they were supposed to. It was less than 2 years ago that we read that Ban Ki-moon Admits United Nations Anti-Israel Bias, going so far as to say, "Unfortunately, because of the Israeli-Palestinian conflict, Israel has been weighed down by criticism and suffered from bias and sometimes even discrimination." When Will Facebook's Zuckerberg Apply His Pro-Muslim Statement To Jews? It is hard to argue with Zuckerberg's sentiments -- but his double standard is an issue. 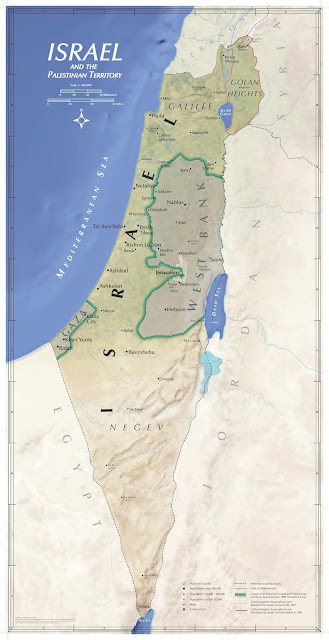 One of the issues in the wake of the labeling of Israeli products from Judea and Samaria ("The West Bank"), is the double standard of the European Union refusal to label products from occupied territories such as Cyprus (occupied by Turkey) and the Western Sahara (occupied by Morocco). Palestine reiterated its support for Morocco’s sovereignty over Western Sahara on Thursday at a diplomatic meeting between both countries, held in Rabat. Why Is the Terrorist Murderer Omar Nayef Zayed Getting World Sympathy? A Palestinian terrorist who escaped from an Israeli prison 25 years ago is now being given shelter in the PA’s consulate in Sofia, the capital of Bulgaria. The terrorist is Omar Nayef Zayed, who was convicted in 1986 of murdering an Israeli yeshiva student. 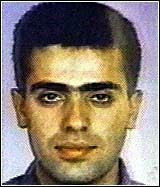 He started a hunger strike in 1990, which resulted in the Israeli authorities admitting him to a hospital in Bethlehem. He escaped from the hospital, slipped out of the country, and made his way to Bulgaria. Does Obama Really Want To Be The Next UN Secretary General -- And Is He Eligible? Breitbart is one of those reporting that after his term as president is over, Obama has plans to become the next Secretary General of the UN. It seems though that the idea of Obama pursuing that goal is not nearly as newsworthy as the idea that Israel's Prime Minister Netanyahu is determined to stop him. Israel National News describes a Kuwaiti newspaper’s report about President Barack Obama’s post-presidential plans as “somewhat far-fetched,” but apparently plausible enough to bounce through publications around the world. According to the Al Jarida report, President Obama wants to be appointed Secretary-General of the United Nations after he leaves the White House, and Israeli Prime Minister Benjamin Netanyahu is working to thwart his ambitions. Putting aside the accuracy of the Al Jarida report, is Obama even eligible to become Secretary General of the UN?